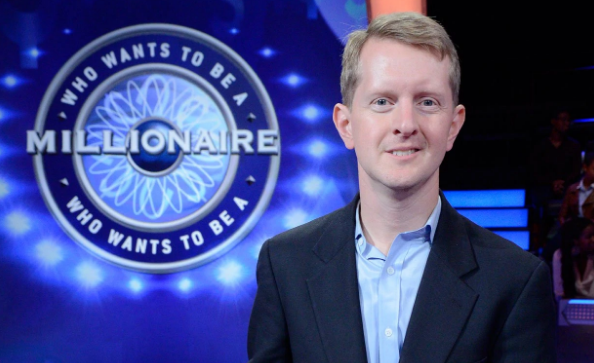 Kenneth Wayne Jennings III, professionally named Ken Jennings is an American game show contestant and author. Jennings holds the record for the longest winning streak on the U.S. game show Jeopardy! with 74; no other contestant has exceeded 20. He also holds the record for the highest average correct responses per game in Jeopardy! history 34.2 for those contestants with at least 300 correct responses; no other contestant has exceeded 30. Jennings is also the second highest-earning contestant in American game show history. After his success on Jeopardy!, Jennings wrote about his experience and explored American trivia history and culture in his book Brainiac: Adventures in the Curious, Competitive, Compulsive World of Trivia Buffs, published in 2006. The setting, and holding, the record for having the longest winning streak on "Jeopardy!". Where is Ken Jennings born? 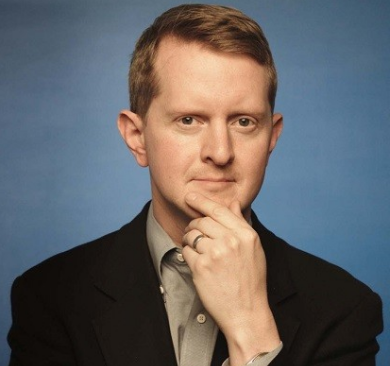 Back to his early life, Ken Jennings was born in Edmonds, Washington and grew up in Seoul, South Korea from 1981 to 1992 and Singapore from 1992 to 1996, where his father worked for an international law firm and then as Asia Pacific Division Counsel of Oracle Corporation. He watched Jeopardy! on American Forces Network television while growing up. He attended Seoul Foreign School where he completed an International Baccalaureate diploma and then graduated with a degree in Computer Science and English at Brigham Young University, where he played on the school's quiz bowl team for three and a half years. Jennings attended the University of Washington during his freshman year. Who has won the most on Jeopardy? Ken Jennings first participated in the television game shows somewhere in 2003. He made his appearance in the Jeopardy game show in the 20th session. He was also a member of a Bowl Game. He rose into prominence when he won the Jeopardy show for 74 times in a row. From 2008 to 2009, Jennings appeared on GSN on Fridays for the trivia game Stump the Master. Home viewers send questions via the GSN website. Four callers are put on hold and Jennings selects from one of the categories. The caller for the category he picked comes on the line and reads the question. If Jennings does not answer or is incorrect, the caller wins $1,000 or more. Any time Jennings is right, the jackpot is increased by $1,000. All callers are given a small prize, whether they participate in the air or not. Jennings has appeared on multiple episodes of Doug Loves Movies, hosted by Doug Benson, and has won a few times. Jennings also appeared on two other Sony Pictures Television game shows, Who Wants to Be a Millionaire, as a frequent expert for the lifeline "Ask the Expert", and also taped a pilot for the proposed 2009 CBS revival of Sony's The $25,000 Pyramid. Jennings appeared on Millionaire in 2014 as a contestant during Guinness World Records Edition themed week, where he won $100,000 after deciding to walk away on his $250,000 question. If he had gone for it, he would have been right and would have won $250,000. Jennings appeared on the second-season premiere of 500 Questions on May 26, 2016, and was eliminated on the fourth question by winter 2012 college champion Monica Thieu, leaving with no winnings. Jennings appeared on an episode of @midnight aired May 15, 2017, during the fourth season, which he won. As a result, he served as the funniest person on the internet for May 16, 2017.
Who is the wife of Ken Jennings? Reflecting his private (personal) life, Ken Jennings is a married man. He is married to Mindy. The actual date, when they first married is unknown to the press. They have two children together, a boy named Dylan and a daughter, Caitlin. He is not involved in any kind of extramarital affairs and there is also no sign of these sweet couple getting divorced. They are a lovable spouse to each other and are entirely devoted to each other. How much money did Ken Win on Jeopardy? As the game show contestant and author, Ken has accumulated massive earnings with his profession. According to celebrity net worth, He has an estimated net worth of $ 4 million. However, his salary was not disclosed yet. In the case of disclosed, we will let you know. How tall is Ken Jennings? Observing his body statistics, He has a height of 5 feet 10 inches with a charming smile. Similarly, he hasn’t shared any info regarding her weight, shoe size, and body measurement. In the case of disclosed, we will let you know. H&R Block has offered to give him free tax preparations for the rest of his life as a result of his Final Jeopardy!. Won 74 successful games during his run on Jeopardy! (1984). "Quiz Show" (1994) is listed as his number three favorite film in 1994 under "Pulp Fiction" (1994) and "Red" (1994) on Ken's Top 2000 Favorite Movies Page.